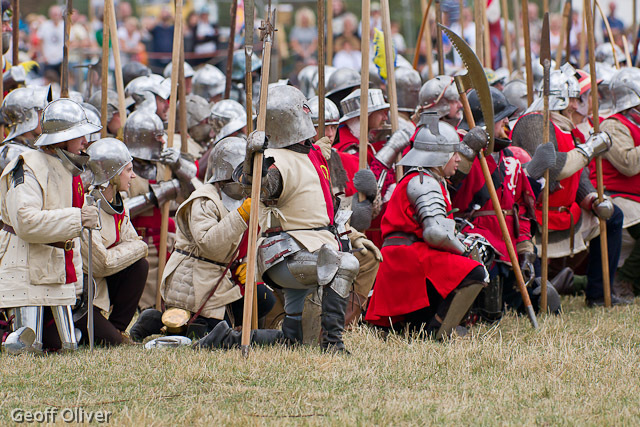 Last weekend was the occasion of the Battle of Bosworth Anniversary Re-enactment. 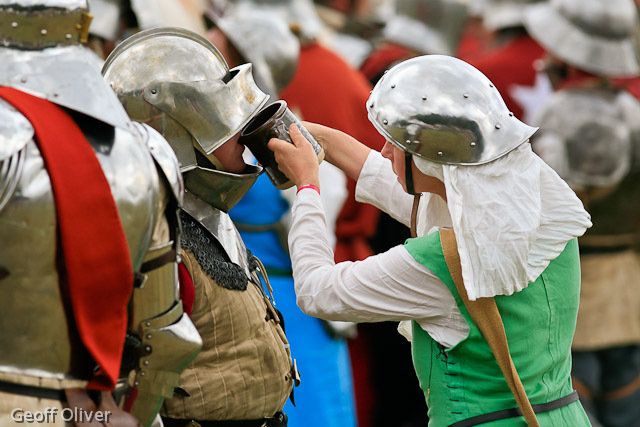 The Bosworth Battlefield Heritage Centre near Market Bosworth in Leicestershire was the venue for this event. 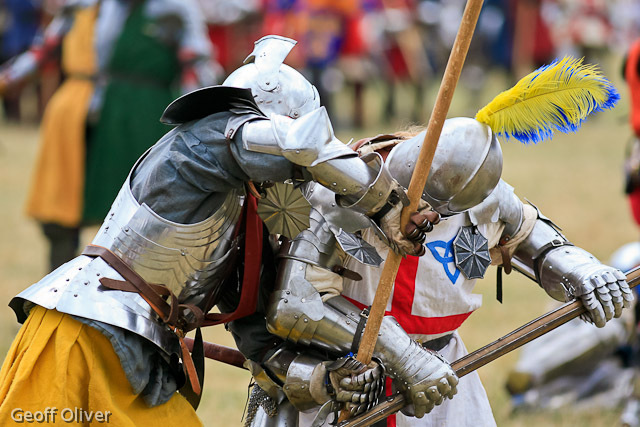 The Battle of Bosworth took place here in 1485 and the battlefield at Bosworth is famous as the place where King Richard III was defeated and lost his life and his crown to Henry Tudor, the first of the Tudor dynasty. 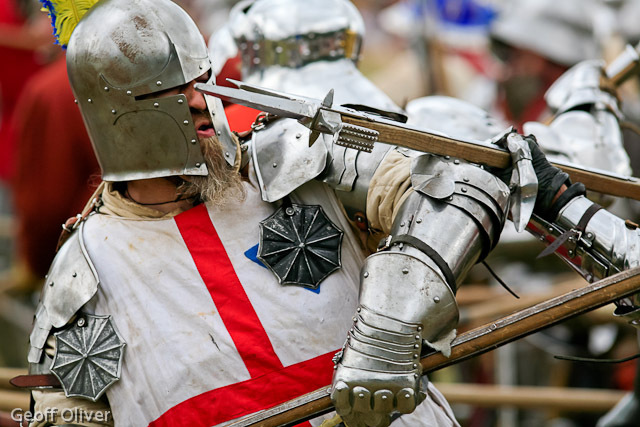 This battle followed the “Wars of the Roses”, a series of battles between two rival dynasties, the white rose of York and the red rose of Lancaster, for the control of the English throne. 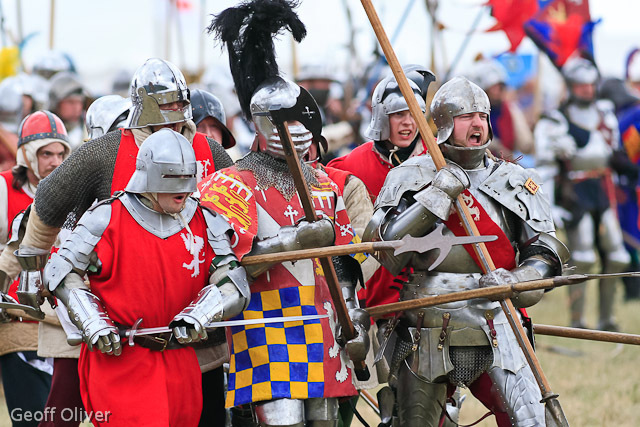 Between 1454 and 1471 the houses of Lancaster and York fought thirteen battles with the Yorkist Edward IV winning the eventual victory. Richard III was Edward’s youngest brother and succeeded him to the throne in 1483. 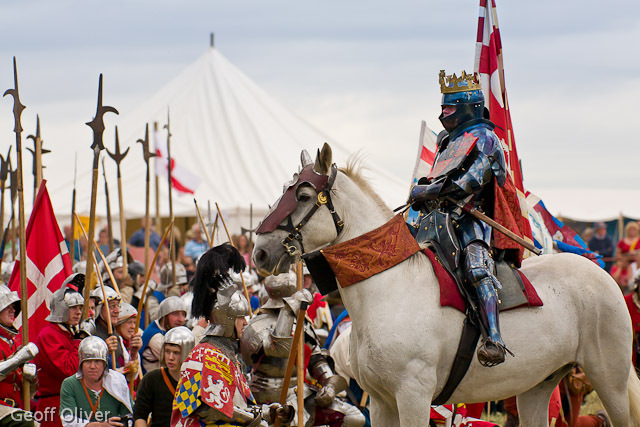 Just 2 years later, he rode into battle at Bosworth in Leicestershire on the 22nd August 1485 where he met his death and lost his crown to Henry Tudor. I must admit, this was not the easiest assignment I have been on. The battlefield itself was surrounded by tents and spectators on all sides making backgrounds a problem. The other problem is that you can only ever be in one place at once so of course you can only photograph what is in front of you. As it happened I was quite well placed for both of the day’s big battles and hopefully managed to capture some of the atmosphere and action of the day. 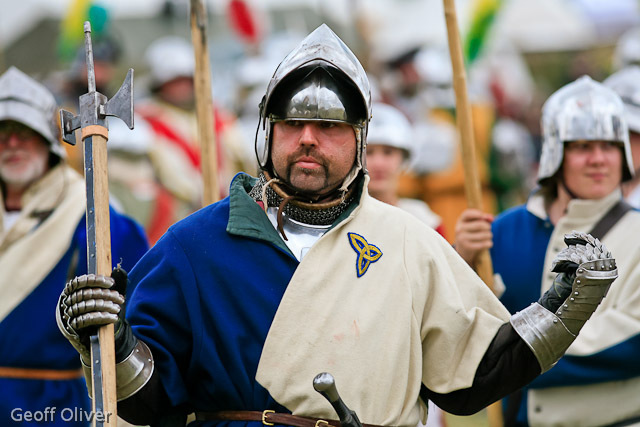 The living history encampments at either end of the main arena provided further photo opportunities throughout the day.